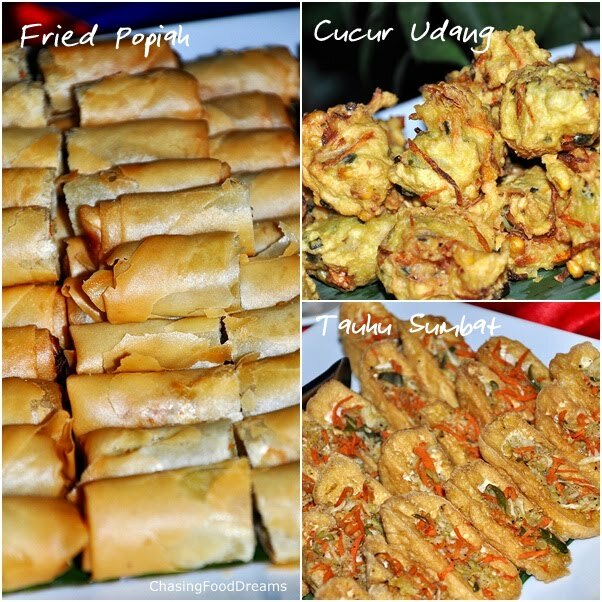 CHASING FOOD DREAMS: Ramadhan@ Songket Restaurant: Buka Puasa Indulgence ! 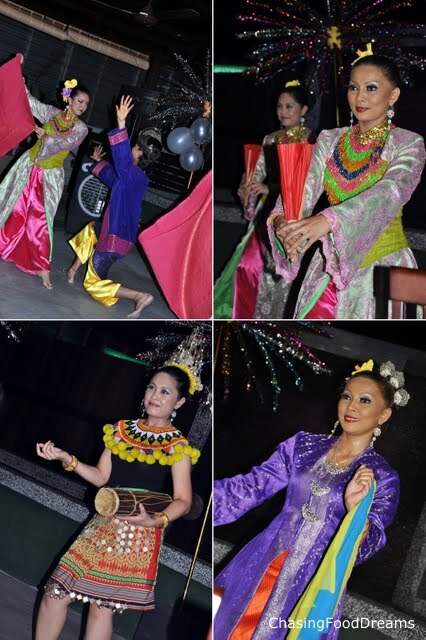 Ramadhan@ Songket Restaurant: Buka Puasa Indulgence ! What a feast for the eyes! One of my first Ramadhan feast this year, and a truly lovely evening well spent with a plethora of scrumptious authentic delicacies at Songket Restaurant, Kuala Lumpur. Songket, my first visit, was still clearly imprinted in my memories with their authentic Malay cuisine. Hence, when an invitation was extended to sample their coming Ramadhan Buffet spread needed no further encouragement as I was happy to return for more lovely spread of their chef’s specialities. 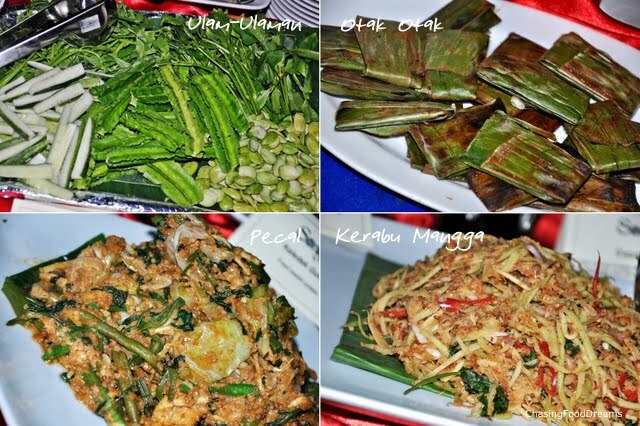 Let me take you down an indulgence path to ‘Buka Puasa’ this coming month at Songket! 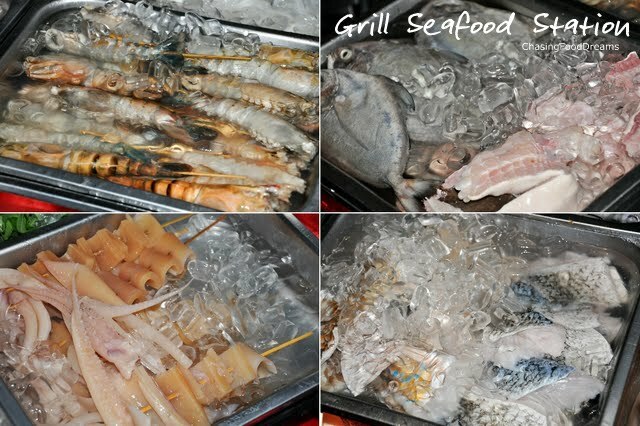 There is a Grill Station loaded with seafood and one can pick up what they like to be grilled. I savored clams, scallops, black pomfret and chicken wings that night. The restaurant needs to implement some sort of numbering system to identify what the customers picked out as it may get confusing with a crowd! There is also their special sambal sauce to go with the grilled seafood which I forgot to take but it was deliciously addictive. Make sure to get that sambal to oomph up your seafood!! I hit the appetizers first and indulged in their lovely arrays of Fried Popiah, Cucur Udang, Grilled Otak Otak, and Tauhu Sumbat. There was also Sup Pindang, a lightly spiced seafood soup and the must-have Bubur Lambuk, rice porridge, popular especially during this time. There was also an array of Ulam-Ulaman begging to me with Pecal and Kerabu Mangga. Ulam was a hit with their sambal. Pecal was a salad of beancurd and blanched raw vegetables dressed in a peanut sauce. Kerabu Mangga is for mango fans with its crunchy and sour flavors. 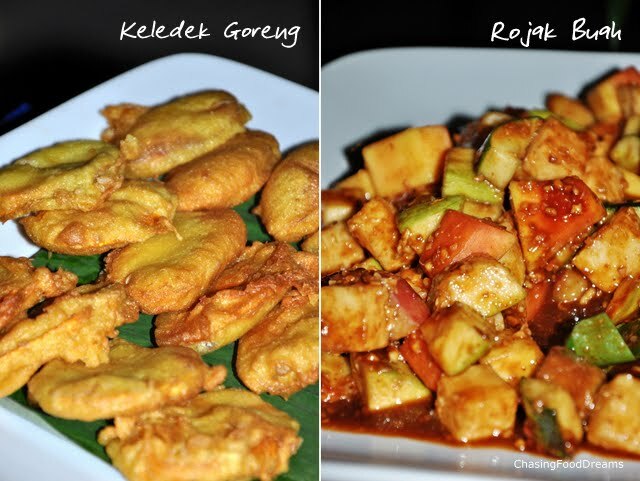 Keledek Goreng, fried sweet potato and Rojak Buah, fruit salad with spicy shrimp paste gravy was decent. Let me raved about their Beef Rendang… if there is one thing the chef here does best, its beef! His beef rending is beautifully braised with loads of spices and the luscious texture makes me eat more rice than usual. Sedapnya…..
Ayam Masak Merah was gleaming red but it was not spicy at all. Creamy with a nice sweetness, this is perfect for kids. Big prawns cooked ala Masak Lemak Udang Nanas looked delectable. The mild curry was creamy from the coconut milk and the pineapple added a fruity flavor to the dish. I like this… Sotong Sambal Kicap Istimewa was jet black and may not look like a crowd pleaser but it was! Lots of squid pieces fried with onions in a black squid ink sauce was a chef’s specialty. Another nicely executely dish was Sayur Lodeh. I love this dish with Lontong and peanut sauce… drool! The dish here was super lovely and I wish there was Lontong as I could steal the peanut sauce from the satay…hehehe! Creamy and the vegetables soaked up the gravy nicely. Daun Keledek Goreng with Ikan Masin was sweet potato leaves stir fried with salted fish. Average for me but still cannot resist the salted fish flavors. Pandan Nasi Lemak was lightly hued in pale green with a light aroma of the coconut flavored rice. If you are not a rice fan, there are always noodles like this Mi Hun Goreng. 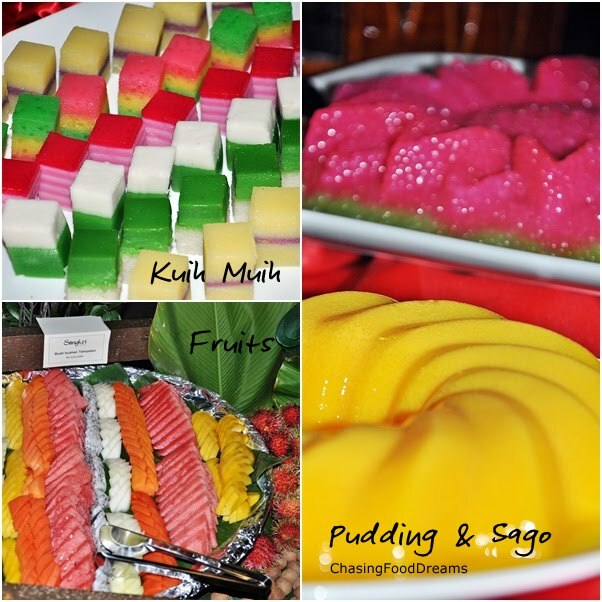 Let’s hit the dessert table with assorted local Kuih Muihs, Mango Pudding, Sago Gula Melaka and loads of fresh Fruits. Check out the artsy plate of Sago Gula Melaka which I snapped from MissyBlurkit! It’s so striking and beautifully plated with its contrasting colors… thanks Evelyn! Buah Kurma is a must-have during Ramadhan to whet the appetite! Ais Kacang was also present to refresh the palate with the icy delight. The buffet also has drinks like chilled Sirap Bandung, coffee and tea to round off the meal. After our lovely meal, the Cultural Performance show came on around 9pm. I have to admit, the costumes look amazing gorgeous! I kept eyeing the jewelry worn by the dancers which was great pieces of intricate designs. Yummy.... i adore on Mi Rebus! Wow, so many delicious food, I want them all. Guess I will be stuffed hehe.. Oh I want to let you know that my son's band ROSEVELT made it to rank No.1. They got 993 votes of which one came from you:D I want to thank you again for the support. Please know that it is greatly appreciated. They now stand a chance to let INCUBUS give them the balance of the 4 points and they will announce on 22nd the band that will open their concert for them. I will keep you posted. Ramadan The Holiest Month. I would like to wish a happy fasting festival to all my muslim blogger and readers friends and all family around the world through this comment. thank you for the admin.